Review originally posted on Doha Film Institute website. From Asghar Farhadi, the first-ever Oscar winner from Iran, another tale of separation with ‘The Past’. In the Official Competition at Cannes, this new film is about a couple on the verge of divorce. Sound familiar? 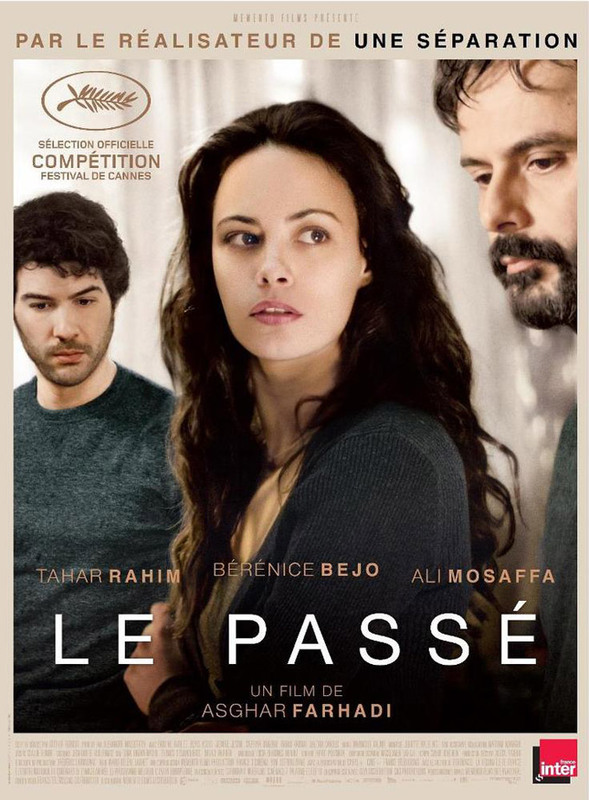 Contrary to ‘A Separation’, which takes place in Iran, ‘The Past’ is entirely set in France; however, it retains some of the themes of the earlier film. Ahmad (Ali Mosaffa) returns to France from Iran to finalise divorce proceedings with his soon-to-be-ex-wife Marie (Bérénice Bejo), a French woman from whom he has long been separated. He is not required to be physically present for the official split-up procedure, but both Ahmad and Marie need closure for their long, tenuous relationship. Upon his arrival, Ahmad is surprised to learn that Marie has not booked him a hotel room; instead, he must sleep in the presence of Samir (Tahar Rahim), the man Marie is about to marry, and his son. Immediately a love triangle is formed, strengthened by a powerful opening scene where Marie is at the airport, communicating with Ahmad through glass. Both understand perfectly what they’re saying to each other. All is said in the prelude – even when driving Samir’s car, Marie reverses and narrowly misses a catastrophic accident. It’s dangerous to look back the past when trying to move forward. Ahmad is warmly received by Marie’s children from a previous marriage. He is the father figure they trust and love, which makes Samir’s task in integrating into the family that much more difficult. The guest is quickly dragged into the family problems, especially the hostile behaviour of Marie’s teenage daughter, who seems to refuse to accept her mother’s new companion. In all this turmoil, Samir has his own internal battle: his wife is in a coma. What if she wakes up? What seems a normal family has now been disturbed by Ahmad’s presence. All decisions about the future are questioned. The past has triggered forgotten memory – and maybe a wakeup call. We cannot look at ‘The Past’ without comparing it to ‘A Separation’, especially given that Farhadi is revisiting themes of the challenges of a present separation versus a familiar past. The plot has nuances related to its European location, but is less affected by it than the Iranian context of the earlier film. ‘The Past’, as we might expect, immerses the viewer in an intelligent plot and well-scripted dialogue, supported by natural performances by the whole cast including the children. Bérénice Bejo received the best actress award for her role. ‘The Past’ focuses more on reminiscence of past events that seem to be the core of all the events that are currently taking place. Throughout, characters are slowly unmasked, and seem to all be guilty of causing whatever pain they themselves are enduring, as well as visiting on the others around them. It’s a bit like the situation in Jean-Paul Sartre’s play ‘No Exit’. Unfortunately, the similarities between the two films make difficult to look at ‘The Past’ separately and give it the justice it deserves. It’s a sort of déjà-vu of Farhadi but with international stars that perhaps worries us a little bit about where the talented director is taking us. Certainly I hope he will not remain in the shadow of his Oscar-winning film. ‘The Past’ a brilliant film that may not receive its due because it has been preceded by a more powerful version of similar refrains.